Efficiencies of 99% can be achieved by a single pass. 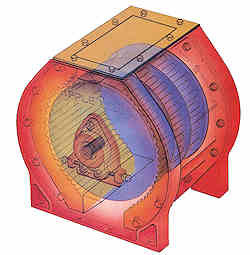 The rotor imparts the velocity and the impact forces crack the nut. The Ripple Mill can also be used for the pre-grinding of coal, plastics and chemicals prior to micro-fine grinding, coarse animal feed grinding and other shelling or hulling applications.